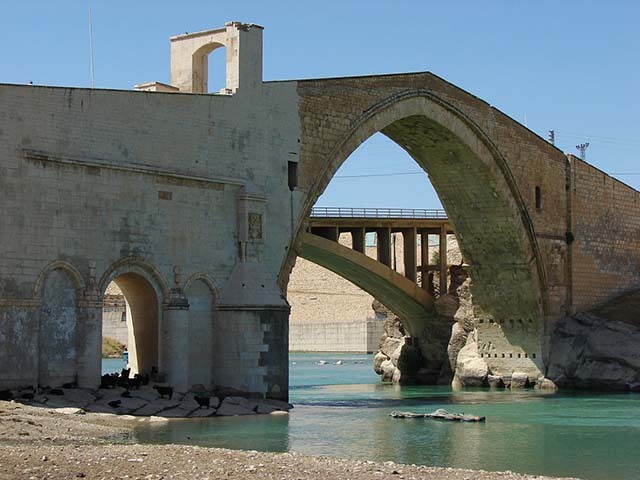 ﻿Malabadi Bridge is an arch bridge spanning the Batman River near the town of Silvan in Diyarbakır Province, Turkey. Construction began in the 1147 AD during the Artuqid period, and appears to have been completed 1155 AD. It was commissioned by Temür-Tash of Mardin (A Turkmen ruler of Mardin).